Our CPD Accredited Person Centred Care Training course works alongside Standard 5 of the Care Certificate and explains how to work with an individual to plan for their care and support effectively. Alternatively, the 6 Cs help you to understand that each individual has to be placed at the centre of their care and support plans. The plan must fit the individual, rather than the individual being made to fit an existing routine. This is also known as Person Centred Working. Our course effectively explores the key principles and will enable carers to work in a 'person-centred' way. The course includes the legal and regulatory framework, the Care Act, tools to support person-centred approaches and risk enablement. This Person Centred Care Training course concludes with a 20 question multiple choice test with a printable certificate. In addition, brief in-course questionnaires guide the user through the sections of the training and are designed to reinforce learning and ensure maximum user engagement throughout. Your Person Centred Care Certificate includes your name, company name (if applicable), name of course taken, pass percentage, date of completion, expiry date and stamps of approval or accreditations by recognised authorities. Standard 5 of the 15 standards that make up the Care Certificate is working in a person-centred way. 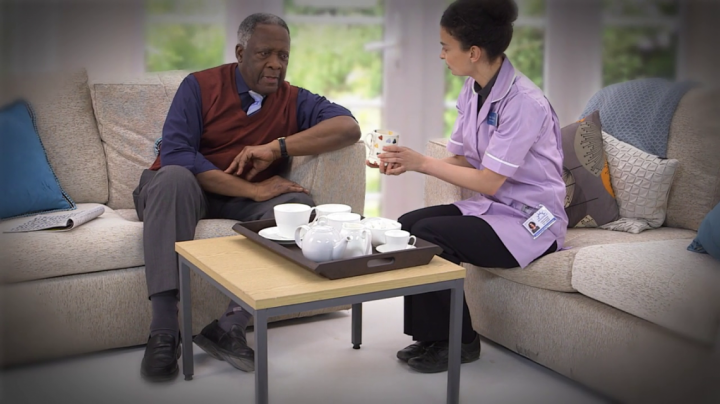 Workers in the care sector are shown what is expected of them in the Care Certificate, which is an agreed set of standards that employees need to pass. It forms part of an induction programme that should be covered if you are new to the care sector. Placeholder image for Who do Safeguarding Policies Actually Protect? Who do Safeguarding Policies Actually Protect?